Dr. Sheng obtained his Ph.D degree in 2006 from University of Science and Technology of China (USTC). After that he went to the Tohoku University, Japan and the University of Hongkong for short-term research. Now he is a professor in environmental engineering at Department of Chemistry, USTC. Dr. Shengâ€™ research is focused on biological wastewater treatment and resource recovery. 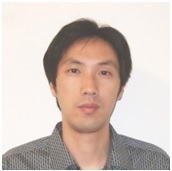 He was awarded AEESP Outstanding Ph.D. Dissertation Award (honorable mentioned). Due to his excellent research works, he was funded by Excellent Young Scientist Foundation of National Science Foundation of China (NSFC), and was be supported by the Program for New Century Excellent Talents in University (Ministry of Education, China). Since 2010, he was published more than 40 papers in international journals including Environmental Science & Technology and Water Research. (1) Zhang HL, Fang W, Wang YP, Sheng GP*, Zeng RJ, Li WW, Yu HQ. Phosphorus Removal in an Enhanced Biological Phosphorus Removal Process: Roles of Extracellular Polymeric Substances. Environmental Science & Technology. 2013, 47(20), 11482-11489. (3) Liu L, Sheng GP*, Liu ZF, Li WW, Zeng RJ, Lee DJ, Liu JX, Yu HQ. Characterization of Multiporous Structure and Oxygen Transfer inside Aerobic Granules with the Percolation Model. Environmental Science & Technology, 2010, 44(22), 8535-8540. (4) Liu L, Li WW, Sheng GP,* Liu ZF, Zeng RJ, Liu JX, Yu HQ, Lee DJ*. Micro-scale hydrodynamic analysis of aerobic granules in the mass transfer process. Environmental Science & Technology, 2010, 44(19), 7555-7560. (6) Liu XM, Sheng GP*, Luo HW, Zhang F, Yuan SJ, Xu J, Zeng RJ, Wu JG, Yu HQ*. Contribution of Extracellular Polymeric Substances (EPS) to the Sludge Aggregation. Environment Science & Technology. 2010, 44, 4355-4360. (7) Zang GL, Sheng GP*, Tong ZH, Liu XW, Teng SX, Li WW, Yu HQ*. Direct electricity recovery from Canna indica by an air-cathode microbial fuel cell inoculated with rumen microorganisms. Environment Science & Technology. 2010, 44(7), 2715-2720. (8) Sun M, Mu ZX, Chen YP, Sheng GP*, Liu XW, Chen YZ, Zhao Y, Wang HL, Yu HQ*, Li W, Ma F. Microbe-assisted sulfide oxidation in the anode of a microbial fuel cell. Environment Science & Technology. 2009, 43(9), 3372-3377. (9) Sheng GP, Yu HQ. Chemical-equilibrium-based model for describing the strength of sludge: taking hydrogen-producing sludge as an example. Environmental Science & Technology. 2006, 40(4): 1280-1285. (10) Wang YK, Li WW, Sheng GP*, Shi BJ, Yu HQ. In-situ utilization of generated electricity in an electrochemical membrane bioreactor to mitigate membrane fouling. Water Research, 2013, 47(15), 5794-5800. (11) Xu J, Sheng GP*, Ma Y, Wang LF, Yu HQ. Roles of extracellular polymeric substances (EPS) in the migration and removal of sulfamethazine in activated sludge system. Water Research, 2013, 47(14), 5298-5306. (12) Sheng GP, Xu J, Luo HW, Li WW, Li WH, Yu HQ*, Xie Z, Wei SQ, Hu FC. Thermodynamic analysis on the binding of heavy metals onto extracellular polymeric substances (EPS) of activated sludge. Water Research, 2013, 47(2), 607-614. (14) Xu J, Sheng GP*, Luo HW, Li WW, Wang LF, Yu HQ. Fouling of proton exchange membrane (PEM) deteriorates the performance of microbial fuel cell. Water Research, 2012, 46(6), 1817-1824. (15) Xu J, Sheng GP*, Luo HW, Fang F, Li WW, Zeng RJ, Tong ZH, Yu HQ. Evaluating the influence of process parameters on soluble microbial products formation using response surface methodology coupled with grey relational analysis. Water Research. 2011, 45, 674-680. (16) Yue ZB, Zhang ML, Sheng GP*, Liu RH, Long Y, Xiang BR, Wang J, Yu HQ*. Determination of main components and anaerobic rumen digestibility of aquatic plants in vitro using near-infrared-reflectance spectroscopy. Water Research. 2010, 44, 2229-2234. (17) Zhang ML, Sheng GP*, Mu Y, Li WH, Yu HQ*, Harada H, Li YY. Rapid and accurate determination of VFAs and ethanol in the effluent of an anaerobic H2-producing bioreactor using near-infrared spectroscopy. Water Research, 2009, 43(7), 1823-1830. (20) Sheng GP, Yu HQ. Characterization of extracellular polymeric substances of aerobic and anaerobic sludge using 3-dimensional excitation and emission matrix fluorescence spectroscopy. Water Research 2006, 40(6): 1233-1239. (22) Sheng GP, Yu HQ, Li XY. Extracellular polymeric substances (EPS) of microbial aggregates in biological wastewater treatment systems: A review. Biotechnology Advances. 2010, 28, 882-894. (23) Sheng GP, Yu HQ, Li XY. Stability of sludge flocs under shear conditions: Roles of extracellular polymeric substances (EPS). Biotechnology and Bioengineering. 2006, 93(6): 1095-1102.